Sri Lanka President Maithripala Sirisena on Saturday suspended parliament till November 16 after sacked Prime Minister Ranil Wickremesinghe sought an emergency session to prove his majority, deepening the political crisis in the island nation. Sirisena’s move is seen as an effort to allow former strongman Mahinda Rajapaksa to buy more time to seek majority in the parliament. Rajapaksa and Sirisena combine has only 95 seats and is short of a simple majority in the 225-member house. Wickremesinghe’s United National Party has 106 seats on its own with just seven short of the majority. Wickremesinghe has been asserting that the swearing in of Rajapaksa in his place is “illegal and unconstitutional”. He said that the crisis could be resolved with no difficulty if the parliament was convened. 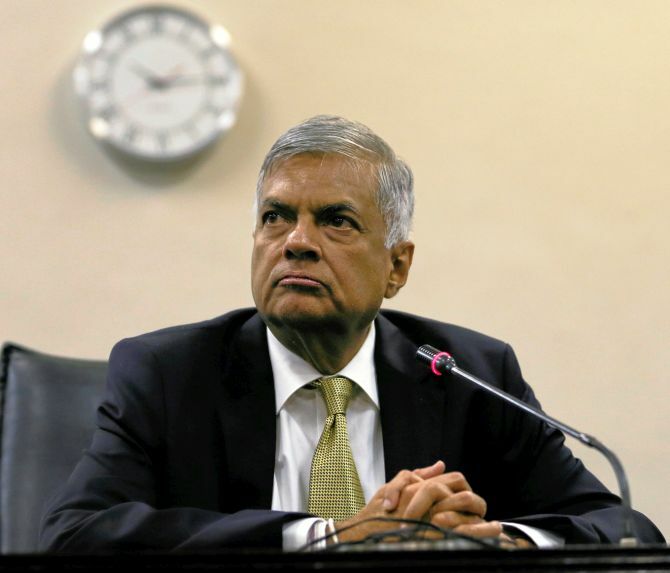 “I can prove majority on the floor of the House,” Wickremesinghe said. Responding to Sirisena in writing, Wickremesinghe said he is still the “constitutionally appointed prime minister” of Sri Lanka. “I write to inform you that I am the constitutionally appointed Prime Minister of the Democratic Socialist Republic of Sri Lanka and continue in that office and that I command the confidence of Parliament as contemplated in article 42(4) of the constitution,” the letter said. 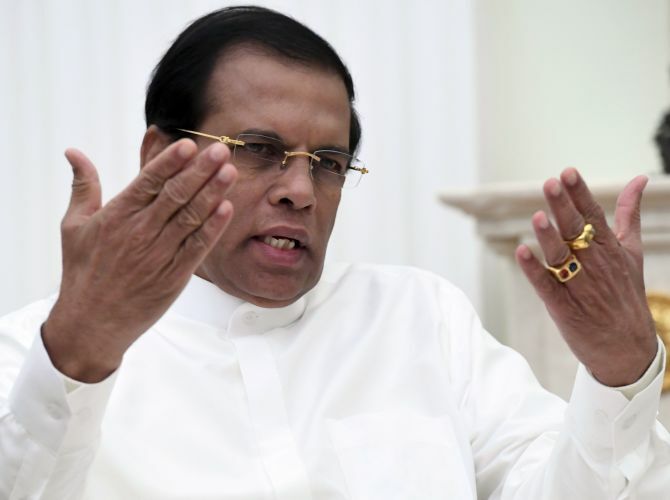 Lankan President Sirisena in the letter Wickremesinghe had formally informed that the latter has been sacked from the prime minister's position. Two other constituent party leader from minority Tamil and Muslim parties, Mano Ganesan, Palani Digambaram and Rishath Bathiyutheen also said they would be firmly in support of Wickremesinghe and called Sirisena’s move to sack Wickremesinghe as illegal and unconstitutional. The United Nations resolutions passed under the former regime of Rajapaksa was co-sponsored by Wickremesinghe’s government pledging to deliver justice to Tamil victims of the separatist war launched by the Liberation Tigers of Tamil Eelam. Sirisena’s sacking of Wickremesinghe was the culmination of an year of bitter relations between them on several policy matters. The president has been critical of the prime Minister and his policies, especially on economy and security. In April, Wickremesinghe successfully defeated a no trust motion in parliament engineered by Sirisena with backing from Rajapaksa. The political developments unfolded after Sirisena’s broader political front United People’s Freedom Alliance announced that it has decided to quit the current unity government with Wickremesinghe's UNP. Rajapaksa’s return to power ends a more than three-year-old coalition government that was formed by Sirisena and Wickremesinghe on a promise to combat corruption and financial irregularities. The unity government was thrown into a crisis after Rajapaksa’s new party pulled off a stunning victory in local elections in February seen as a referendum on the ruling alliance. Sri Lanka nearly faced economic sanctions from the West over Rajapakse’s brutal military crackdown on the banned Liberation Tigers of Tamil Eelam.